The summer issue of The Hedgehog Review is out and features a symposium, “On the Business of Philosophy.” The main element of the symposium is Richard Rorty’s Page-Barbour Lectures at the University of Virginia, with responses from Susan Haack (Miami), Robert Pippin (Chicago), and Matthew Crawford (Virginia). In his landmark 1979 book, Philosophy and the Mirror of Nature, [Rorty] spoke across the two reigning and antagonistic philosophical schools (the analytic and the continental) to assert the futility of all efforts to represent or “mirror” what reality truly is. Rorty, however, chafed at the label relativist. He saw himself as an American pragmatist in a line descending from William James and John Dewey. As such, he took “truth” to be simply the highest accolade a community of thinkers can bestow on what it agrees is, for a time, the most convincing account of something. So what, then, is the proper business of philosophy? What should philosophers get on with? Which pursuits should they cede to others, and to whom should they cede them? This Wittgensteinian view can be summed up in the claim that there is nothing intermediate between neurons and social practices for either philosophy or cognitive science to study. To study what makes human beings special is to study such practices—to study culture. We neither have nor need a bridge between the neurons and the practices, any more than we need one between hardware and software. Software is just a way of putting hardware to use, and culture is just a way of putting our neurological equipment to use. To understand how hardware works is one thing, but to understand the uses to which it is put is something quite different. The philosophers who are willing to give up on the claim that there are such things as “conceptual questions” to be resolved think that philosophy will have to be satisfied with narratives rather than analyses. First, I’ll urge that we are not obliged to choose, as Rorty seems to assume, either clarity or else relevance, either truth-seeking, explanation or else “redescription,” aspiration, meliorism, either science or else poetry, either nature or else culture; but that we can, and should, seek a philosophy that has room for all of these. Second, I’ll show that, long before the now-familiar rivalry between “analytics” and “continentals” took hold, C.S. Peirce, William James, John Dewey, and George Herbert Mead—the remarkable thinkers of the pragmatist tradition that Rorty so often, but so misleadingly, invoked—had shown us the way to just such a rich philosophy of, not Either/Or, but Both/And. Rorty calls any determination to get things right “Platonism,” and commends thinkers such as Heidegger who, he says, want instead to “make things different.” That is, Rorty reopens the quarrel between philosophy and poetry, in order to side with poetry. But certainly the Heidegger of Being and Time is trying hard to get things right…. Further, it is not clear that poetry can serve the role Rorty wants it to in his polemic against philosophy. Poets often say they hold themselves responsible to reality. A good poem gently startles you with something true, which you only now recognize as having been there all along. We may have to say that Rorty was siding not with poetry so much as with misology. It is clear that Rorty believes that…there is a settled view of the problem to be faced: imagining how modern societies could maximize the freedom of individuals, the protection of human rights, and equality of opportunity, balanced with just provisions for order and security. But there is no such settled view. In a turn of events that Rorty admitted puzzled him, at just that moment when the Enlightenment, viewed with the appropriate pragmatist measures, had begun to pay off its promissory notes (relieving the human estate of misery through the technological application of the new science, public sanitation, better medical care, increased life expectancy, and far greater and accelerating prosperity than ever before), the most “imaginative” geniuses in European culture, philosophers like Kierkegaard and Nietzsche and many conservative but modernist poets and novelists, rose up and rejected the whole form of life Rorty assumes as his base line, portraying it as stultifying, soulless, alienated, or spiritually dead. 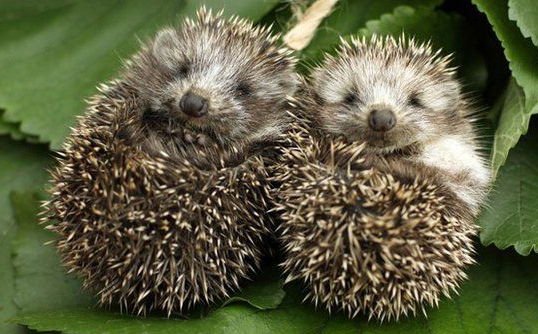 Thanks to B. D. McClay at The Hedgehog Review for the links.